NEARING THE END OF YOUR LUXURY VEHICLE’S LEASE? You’re a luxury vehicle owner. We know that means you appreciate excellent engineering and fine craftmanship. We do too, which is why we accept all luxury makes and models. Once you fill out the form. our team of experts gets to work. We’ll take care of the research,paperwork, and book your appointment. All you have to do is show up. Want to drive away in a new vehicle? In many cases we can upgrade you a similar or lower payment than what you’re paying now. Are You Looking for Any Specific Vehicles? We’re looking for all luxury makes and models. 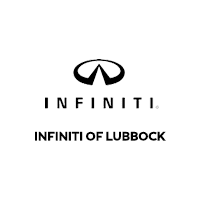 This includes INFINITI, Mercedes, Audi, BMW, Lexus and any other luxury brands. When we call to confirm your appointment we will also let you know what to bring. For most clients this includes all sets of keys, original accessories (floor mats, spare tires), and original documents. For a comprehensive list, speak with our team. Can I End My Current Lease Early? In many cases we can end your lease early and get you into a vehicle with the same or lower monthly payment. We’ll work with your current lender to make the transition as smooth as possible. A visual inspection of your vehicle is required. Termination fees may apply. Wear, tear, and failure to keep to recommended maintenance may incur fees. Not all lessess and vehicles will qualify. See dealer for full details and restrictions. All new vehicles are with approved credit. Not all buyers will qualify. Tax, tags, registration, title and dealer fees are extra.